Last week while attending a conference where I was a speaker, I had the opportunity to listen to a U.S. government representative give a presentation on terrorism. One of the topics he discussed was the trend in recent years toward what he called "homegrown violent extremists" - individuals we at Stratfor refer to as grassroots jihadists. The official noted how the vast majority of jihadist terrorist attacks in the United States in the post-9/11 era - and indeed all successful attacks - have been conducted by grassroots jihadists. As he discussed the challenges for authorities that grassroots jihadists operating under the leaderless resistance operational model present, the speaker showed a slide depicting the terrorist attack cycle on which, as he clicked, most of the steps in the cycle were marked off by red X's indicating that they didn't apply in cases involving grassroots jihadists conducting simple attacks. The future of the Middle East is currently being determined, in a process that is almost entirely hidden from view. In recent weeks, the gaze of the world has been fixed on the fight against Daesh (aka ISIL), as the end of its occupation in Mosul, Iraq, and the breaching of its defenses in Raqqa, its Syrian capital, have symbolized the success of operations against this evil organization. But the future of the Middle East is not being decided in Mosul or Raqqa, despite the importance of ending Islamic State rule over both. It will be determined by a fight that has attracted far fewer headlines—the struggle for control of the border between Iraq and Syria. Tensions between the United States and Russia are on the rise once more. Despite a flurry of diplomatic activity between Moscow and Washington in recent weeks — including the first face-to-face meeting between U.S. President Donald Trump and Russian President Vladimir Putin on July 7 — the two countries have made little progress in resolving their many outstanding issues. A July 17 meeting between U.S. and Russian officials, for example, failed to find a solution to a dispute over the seizure of Russian diplomatic compounds in the United States. Then, on July 25, U.S. Special Representative for Ukraine Negotiations Kurt Volker said Washington was considering sending lethal weapons to Kiev. Two days later, the U.S. Congress amped up the pressure, passing legislation that expands sanctions against Russia and limits Trump's ability to remove those already in place. India’s military capabilities at the Himalayas put it in a position to bargain with China. 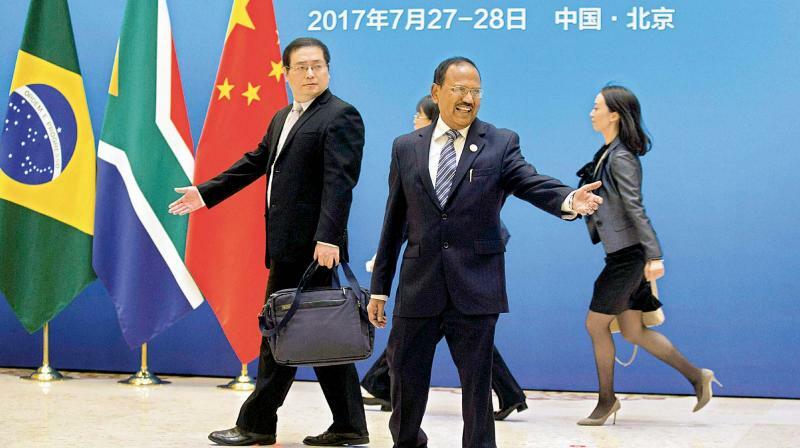 India’s National Security Adviser Ajit Doval is back from Beijing after attending the BRICS national security advisers’ conclave and meeting his Chinese counterpart, Yang Jiechi, but there is no sign yet of the standoff between Indian and Chinese troops at the Dolam (Doklam) plateau ending, almost two months after it began. Both sides have chosen not to comment on outcomes, if any, from the talks that Doval held in Beijing, indicating perhaps that a mutually satisfactory solution still eludes them. 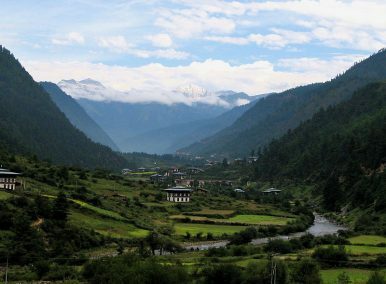 Or maybe, Beijing and New Delhi want to consult Bhutan, the third party in this unusual spat, before proceeding further. Whatever the reason for the silence, the world is surprised at the turn of events since late-May when the border spat began at a point where the boundaries of India-China and Bhutan meet. For one, the vehemence displayed by Chinese commentators was out of the ordinary and so was the aggressive tone of official statements made by government spokespersons in Beijing, accusing India of trespassing into Chinese territory. More unusually however, the calm assurance and panache with which New Delhi has handled the crisis so far points to a far more confident India, a point that would be noticed and studied across important world capitals. India’s refusal to be part of OBOR and Doklam stand-off has made China occupy more mind space than at any time in the recent past. Conversely Global Times, mouthpiece of the Communist Party of China, regularly publishes articles threatening and advising India. There is no need for India to be submissive because China’s GDP is five times ours and ape its achievements in infrastructure and manufacturing. India’s actions should be driven by its civilizational values and not in response to Chinese moves. Till now, Indians thought their primary enemy was Pakistan, a neighbour whose people are of the same stock and seen on prime time. With China it is different. How does one deal with a neighbour who is determined to be Asia’s leading power and “steer you towards participation in its grand geopolitical design represented by the Belt and Road Initiative”, grabs your territory stealthily, is less visible, makes equipment at a lower cost, whose phones you use, has deep pockets, uses Pakistan to keep you tied down, woos your neighbours and impedes your emergence as a rival power. How should India deal with China? First some broad contours. The 2017 trilateral Malabar naval exercise in the Bay of Bengal ended with RearAdmiral William D Byrne of the UnitedStates (US) navy promising India that in the event of an “international crisis in the Indian Ocean, US and Japan will come down to help.” For many Indian journalists reporting from USS Nimitz, the American admiral’s words were manna from heaven, especially in the wake of the ongoing Doklam crisis on the China–Bhutan border. 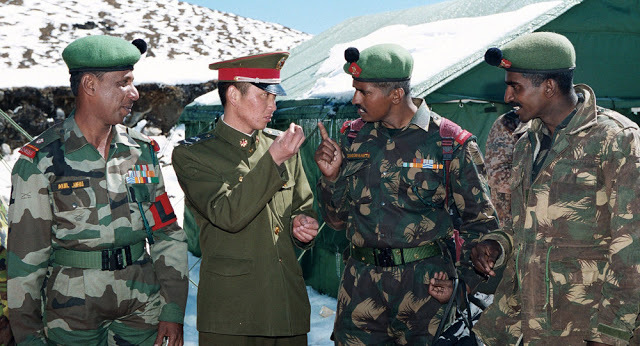 Incidentally, during the 2015 Malabar naval exercises in the Bay of Bengal, the Indian army was playing the fifth version of the “hand-in-hand” joint operation with China’s People’s Liberation Army (PLA) in Kunming. Such drastic deterioration in India–China relations does not portend well for regional peace. The admiral’s pronouncement offriendship and assistance reminded me of the Adventures of Tintin: Tintin in Tibet. The comic book narrates the story of Tintin’s commitment to friendship. He moves through the most torturous snow-clad mountains to save his friend Chang, an air-crash victim, marooned in the Himalayas. Tintin receives intelligence and material help from a Tibetan monastery in the mountains to locate Chang and bring him back to Nepal. It is hard not to see a correlation between Tintin in Tibet and the Dalai Lama’s flight from Lhasa. The comic book was produced in 1959, the same year in which the Dalai Lama was clandestinely brought to India. The comic series represents the typical use of popular culture or soft power to serve international power games. Admiral Byrne is no Tintin. He represents the American hard power. However, both—hard and soft power—convey the same message: the US will travel miles and go in harm’s way to save its friends from China. POSTED from the salubrious Defence Services Staff College to a Rashtriya Rifles sector in Doda district as Deputy Commander in 1997, we had just relocated the sector HQ on a rocky ledge overlooking the fast flowing Chenab at Suigwar, just outside the troublesome city. The shift was necessitated in part because our earlier location in the city centre was overlooked by a steep, spreading, bare hill from where terrorists sporadically fired at us by day and night. I wasn’t complaining. I had requested for an operational posting and was learning fast. 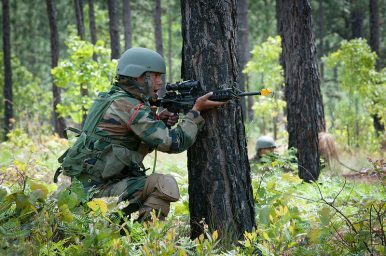 The shift was a choice between a rock and a hard place…The day I arrived, three terrorists had been shot above Suigwar. A few months and many encounters later, I was going to meet the SSP on operational work in my two-jeep quick reaction team (QRT), when I was suddenly stopped on the steep, ascending road in this one-street town, reminiscent of Texan wild-western badlands. In seconds, we had surrounded a phiran-clad old man with AKs drawn, expecting an encounter or IED. He was crying and distraught. 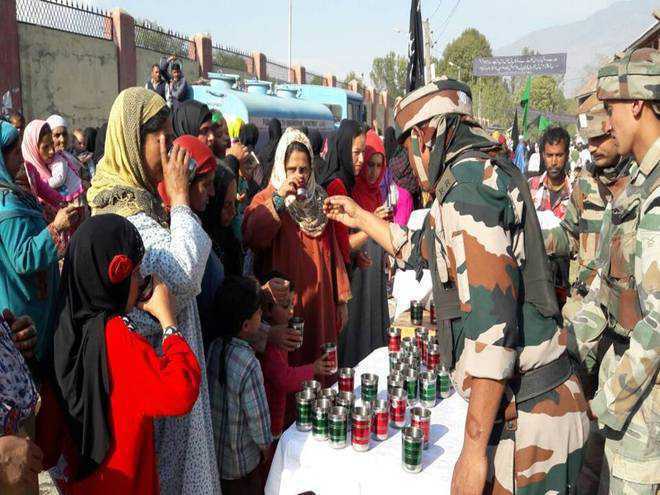 You don’t hug such men in Doda...They could have an AK tucked away, making your hug fatal, but much of soldiering is instinctive. I hugged him. Russia’s new T-14 Armata tank on parade in Moscow. NATIONAL PRESS CLUB: The tank is far from obsolete and the US will need a new armored vehicle to replace its 1980-vintage M1 Abrams, the Army Chief of Staff said here this afternoon. But what kind of tank, on what kind of timeline? Gen. Mark Milleymade clear he was looking for a “breakthrough,” not incremental evolution – which probably means that the new tank will take a long time. The Mahabharata cannot be seen as a trivial record of data of people and wars fought. It was intended for a timeless universe, and its brilliance lies in its ability to guide humanity. A recent workshop titled, “The Mahabharata as History” by Prof Vishwa Adluri and Dr Joydeep Bagchi, not only provided valuable insights of the two scholars on the epic, but also presented examples with plenty of humour. While dwelling on themes like architecture of the text, the notion of ahimsa and dharma, the central question that lingered throughout the discussion was that of the so called historicity of the Mahabharata. 3. Materiality is the basis of humanity. 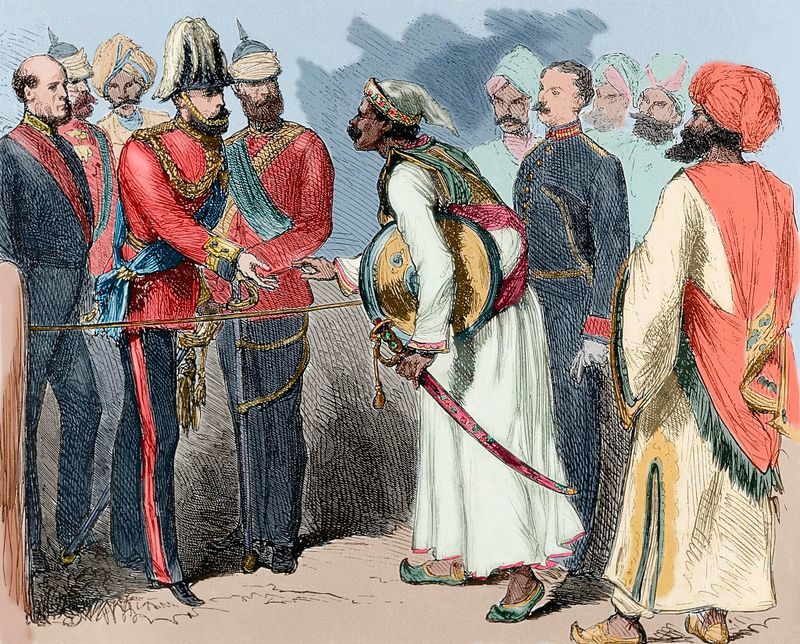 This dominant narrative produced mainly by the so-called indologists in the eighteenth and the nineteenth century has now been imposed on Indians just as the impact Sinology had on the Chinese, and Japanology, on the Japanese. Citizens of India and Nepal enjoy mutual rights of residence, freedom of movement, ownership of property, and can participate in each other’s industrial and economic development without discrimination. India and Nepal now enjoy good relationship with mutual respect for each other. However, sources of tension in the India-Nepal relations cannot be ruled out in future with China trying to increase its penetration into Nepal, according to Dr. Sabyasachi Basu Ray Chaudhury, Vice Chancellor, Rabindra Bharati University, Kolkata. Participating in the discussion on ORF’s new report on: India’s Connectivity with its Himalayan Neighbours: Possibilities and Challenges, on 14 July, Dr. Chaudhury said India was concerned about China’s new interest in Nepal’s domestic politics and also about the Sagarmatha Friendship 2017 — the first joint China-Nepal ten-day military drill. The discussion was organised on the occasion of the launch of the report. The report was scheduled to be released by the Ambassador of Nepal, Mr. Deep Kumar Upadhyay, but he could not come because of some urgent engagement. The report was formally released by the Consul General of Nepal to Kolkata, Mr. Eaknarayan Aryal. Thirty years of reform catapulted China to the second largest economy and wetted its sense of lebensraum. National Security Adviser Ajit Doval at the Diaoyutai state guesthouse in Beijing where he attended a BRICS NSA meet amidst Sikkim standoff. The standoff between the armies of India and China at the trijunction with Bhutan and the war of words unleashed by Beijing suggests to a long-term preparation in the making not just for this sector but across China’s borders with other countries. The tussle at the tri-junction goes beyond the 89 square kilometres of territory to the larger leadership issues in Asia and beyond. Ever since President Xi Jinping took over the reins at the 18th Communist Party Congress in 2012, the leadership adopted policies different from the ones followed by Deng Xiaoping from 1978 onwards. Deng suggested, against the backdrop of the chaotic situation in the country following the Cultural Revolution and the Gang of Four that the country needs to emphasise on reform and opening up and enhance material capabilities. Thus was born the slogan of “keeping a low profile” [tao guang yang hui]. Thirty years of reform catapulted China to the second largest economy and wetted its sense of lebensraum. A country’s defense spending represents the most direct way of measuring its potential military capability. In terms of gauging relative military strength, the size of defense budgets can be compared between countries over a set period of time. These comparisons are particularly insightful when tracing regional trends in military spending and identifying critical political events that have accelerated defense allocations. Defense budgets also serve to identify the importance of a country’s armed forces relative to other organs of the state. Therefore, it is necessary to consider not only gross defense spending but also the size of the defense budget relative to a government’s overall budget and a country’s gross domestic product (GDP). No matter how much a country spends on its military, however, it must still find ways to translate its potential capability for power into power itself. Official Chinese defense numbers converted to US$ using current year OECD exchange rate figures. Department of Defense figures represent the lower estimate offered in its annual reports. For more details, please see below content. Efforts to explore the connection between Chinese military spending and Chinese military power are obfuscated by a lack of transparency. Although China provides official estimates of defense spending each year, outside estimates of China’s defense budget are often significantly higher than Beijing’s official numbers. Furthermore, China provides limited information on the distribution of its military spending, which obscures spending patterns that may indicate the relative importance of a particular branch of the Chinese military, how China might be responding to perceived external threats, and where China is investing in new technologies. Nevertheless, even modest estimates reveal that Chinese defense spending is on the rise. China now spends more on its military than any other country in the world save the United States. This question explores both the issues in calculating Chinese defense spending and China’s spending relative to other regional actors. Experts are second-guessing the dangers associated with freedom of navigation operations in the South China Sea. Over the last decade, China has used its Nine-Dash Line to claim sovereigntyover virtually the entire South China Sea. The country has backed up its sweeping sovereignty claims with a series of increasingly aggressive seizures of national features and by constructing artificial islands. The Obama administration responded by authorizing three putative Freedom of Navigation Operations, known as FONOPs, which actually made matters worse. That is because during the three operations U.S. ships simply transited through the waters that China has claimed as its territorial seas as if quickly making “innocent passages” in and out of the area. There was no lingering, no maneuvering, no exercises and the fire-control radars on the ships were off—just as if they were steaming through the waters off Shanghai. That effectively conceded a slice of the South China Sea to Chinese sovereignty. By contrast, in May, the USS Dewey entered within twelve nautical miles of the Mischief Reef in the Spratly Archipelago. The Arleigh Burke–class guided missile destroyer sailed through the area in a zigzag pattern, and conducted a “man overboard” rescue drill. In other words, it conducted an exercise in a routine high-seas operational mode. The end of ISIS as a functioning state project on the ground clearly does not herald the end of ISIS as an entity. In many areas long since cleared of ISIS control, the organization has continued to function as an effective insurgency with both small and large-scale attacks. Around the world, ISIS will remain a terrorist threat, as illustrated by events from Europe to the Philippines. The ISISfootprint on the internet is large and unlikely ever to be removed in its entirety. The group’s ideals will still appeal to some segments of society, whether out of disillusionment with the established order and a search for meaning in one’s life, or on account of identity crises, or all of these factors combined. Seventy years ago last week, the India Independence Act received royal assent. Suddenly George VI was a much-diminished monarch, no longer king-emperor, and the long twilight of Britain’s shameful exercise in empire had begun. There’s no reason you should have known this, of course, given how little is taught about imperialism anymore. But British historian Niall Ferguson certainly did. He marked the occasion by crowing that he’d “won," tweeting out a 2014 survey showing that 59 percent of Britons were “proud” of the British Empire. Ferguson’s gloating tweet reveals the depth and danger of the myths Britain has built up around its past. Christopher Nolan’s "Dunkirk," in cinemas now, adds to the falsehood that plucky Britons stood alone against Nazi Germany once France fell, when, in fact, hundreds of millions of imperial subjects stood, perforce, with them. (Five million citizens of the empire joined up to fight the Nazis.) Countries so enormously deluded about their history make enormous mistakes: They may turn their backs on Europe, say, or seek to “recover” a relationship with former colonies that don’t want one -- or search fruitlessly for an imaginary 1950s utopia of power and wealth. By asking active-duty personnel to lobby Congress in their own self-interest, President Trump crossed an important line. Last week, the head of the French armed forces angrily resigned after disagreements with his new president, Emmanuel Macron, over the defense budget. This was the first resignation of its kind in France in six decades, but it was enough to remind me how much Americans take healthy civil-military relations for granted. Unlike the French, for example, who have had some terrible episodes between their civilian and military leaders over the years, Americans have never had to disband a parachute infantry regiment because it literally threatened to drop onto the nation’s capital and depose the elected government. That’s not to say we haven’t had our issues, but aside from Douglas MacArthur’s repeated (and successful) attempts to embarrass himself and his profession, Americans have rarely had to worry about the U.S. military and its leadership as a threat to the Republic. Current and former U.S. military officers take great pride, in fact, in the way in which the active-duty officer corps is seen as being above politics. The Army has set up a new Cyber Research and Analytics Laboratory to keep pace with rapid technological change in the field and quickly support operational cyber-warriors with the latest upgrades, techniques and threats, service officials said. A White House official also outlined how federal agency leaders will be held accountable for network breaches. The State Department will remain the lead agency negotiating international rules of the road in cyberspace even if the State Department cyber coordinator’s office is moved or restructured, a top White House cyber official said Wednesday. White House Cyber Coordinator Rob Joyce also defended the government’s hard line against Russian anti-virus maker Kaspersky Lab, detailed White House plans to make agency leaders more accountable for cyber lapses and endorsed a call by Sen. Ron Wyden, D-Ore., to make it harder to spoof government emails during a wide-ranging discussion with reporters outside an industry event. Secretary of State Rex Tillerson is reportedly considering folding the cyber coordinator’s office into the department’s Bureau of Economic and Business Affairs after Cyber Coordinator Chris Painter leaves his post at the end of this month. Painter, a decades-long government cyber hand, has been in the post since former Secretary Hillary Clinton created it in 2011. There is no final decision about the fate of the office yet, Joyce told reporters on the sidelines of the USTelecom Cybersecurity Policy Forum, but the State Department will retain primary responsibility for most major cyber negotiations. This is part two of a series exploring the differences between military cyber forces, capabilities, mission sets and needs. 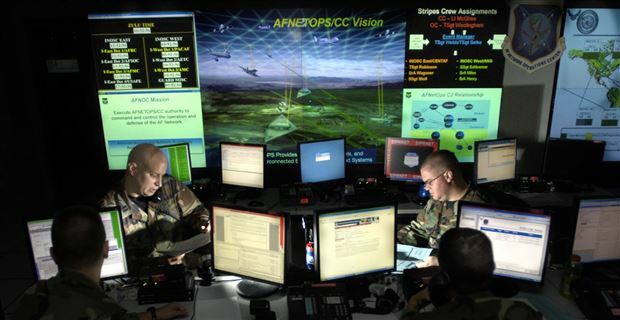 In addition to the work roles described in part one of this ongoing series that are distinct and separate from U.S. Cyber Command and the cyber mission force, other mission sets include providing capabilities in cyberspace and the electromagnetic spectrum to get at organic needs for their respective services. Within the last few years, at the service level, there has been a convergence between cyber and electronic warfare, which both inherently rely on the electromagnetic spectrum and radio frequency. However, according to some, at the top levels of the Pentagon, these are still thought of in their separate bins. Sure, focus on Big Data, but remember, Small Data insights hold the key to read the mind of the person who would finally write the cheque. If stories of Kodak, Xerox, Nokia are staple diet on which modern stories of innovation and disruption are predicated, then this LEGO story would be seen as the most persuasive and compelling argument on the limitations of Big Data. In it lie the reasons for occasional failures of forecasting – whether it be regarding elections or business strategy or regarding why some politicians are so well ahead of the curve. It is Small Data which would be the leitmotif of tomorrow when machine learning would increasingly take over the mundane, structured, rule-based component of our lives. Big Data is all about finding correlations, but Small Data is all about finding the causation, the reason why. This is part one of a series exploring the differences between military cyber forces, capabilities, mission sets and needs. The Defense Department is posturing itself to fight and win wars and conflicts in all domains, especially cyberspace. At the top level, DoD, along with the contributions of the services, is continuing to build out the cyber mission force that makes up U.S. Cyber Command, focused on strategic and joint force commander problem sets. In addition to their CMF contributions, the services are working to stand up their own cyber forces to get at service-specific, organic mission sets.